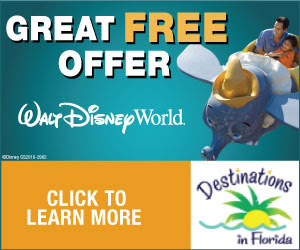 Probably one of the best things about being an Orlando resident, and living so close to the Walt Disney World Resort, is the access that we fans have to the great special event's that are often hosted by the fine folks over at the Disney Parks Blog. This past Friday evening was certainly no exception, as I was very honored to be able to attend a special sneak preview of what is sure to be Walt Disney Pictures latest hit, "Saving Mr. Banks." WARNING - Slight Spoiler Alert! Just so you know, this isn't a review of the film. I'm not a film critic and won't pretend to be. However, I will say this; I LOVED this film and will see it again and again! That's my review! This is just a simple recap on the lovely Friday evening that the Disney Parks Blog invited us to enjoy to say thanks for being fans. The timing of this event was perfect. I had planned on being at the Studios for my annual "family night" with my adopted Michigan family and the best friend that anyone could ever ask for, Anne Marie. That's the two of us below in a shameless, yet Anne Marie approved, selfie! 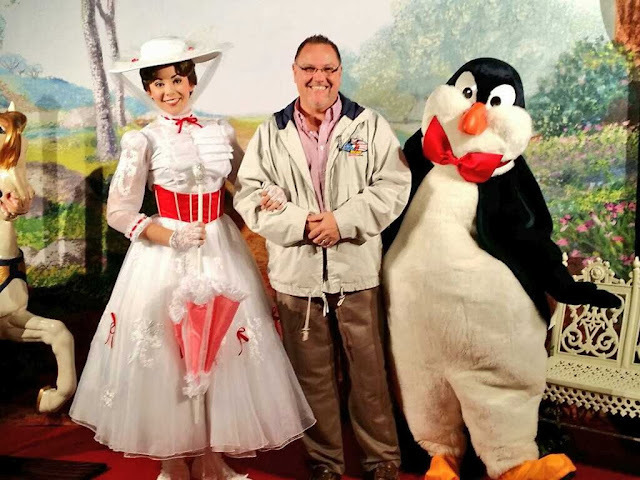 It was a great beginning to a practically perfect evening. 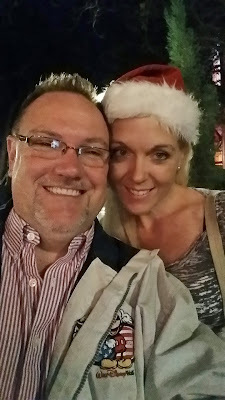 After enjoying some family time at The Osborne Family Spectacle of Dancing Lights, it was time to head back to the front of the park and check-in for the event. As always, it was a quick and painless process and I was on my way back into the park and headed to the Premier Theatre. I headed to the front of the theatre to find a good seat and landed one right by my friend Banks Lee from Orlando Attractions Magazine and his lovely fiancé Sidney. Sadly, my date was ill that evening, so I was happy to be able to spend a few minutes speaking with Banks about, what else, Disney! 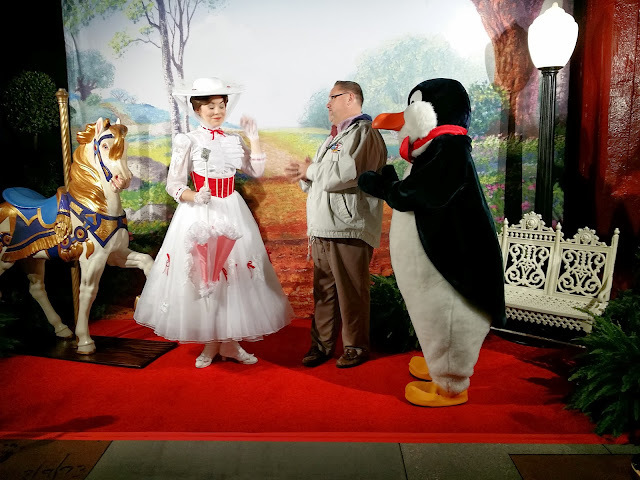 We enjoyed some welcoming comments from the Disney Parks Blog staff, Mary Poppins trivia, previews of upcoming movies from Walt Disney Pictures and then finally, "Saving Mr. Banks." The evening was "practically perfect in every way." I thoroughly enjoyed myself and will look forward to what the Disney Parks Blog has in store for us in 2014. 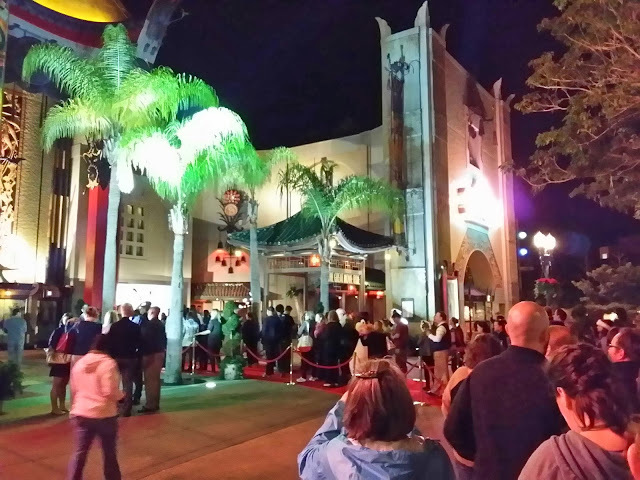 Special thanks to the cast members of Disney's Hollywood Studios who stayed up late last Friday night to assist with this event. As usual, the smiles and great attitudes were out in full force. Thank you Disney Parks Blog - this was a nice early Christmas gift!